Persado has enhanced its relationship with Salesforce Marketing Cloud, the two companies announced in a press release Tuesday. What does this mean for marketers? The short answer is that it will enable Salesforce customers to seamlessly use Persado’s AI-powered technology to generate the email subject lines and body content that will best resonate and engage with their audiences. To delve deeper, we turned to Persado Senior Vice President of Global Corporate Development & Partnerships, Nicolas Chammas, who dished on the new partnership and how Salesforce customers can benefit from it. Persado was already a part of the Salesforce Partner Program. Why enhance the relationship, and how will marketers benefit from it? Nicolas Chammas: Given the exciting changes in our product suite (namely, the launch of Persado Pro, our self-service, AI-powered email subject line generation tool), we wanted to strengthen our relationship with Salesforce to provide better value to our customers. 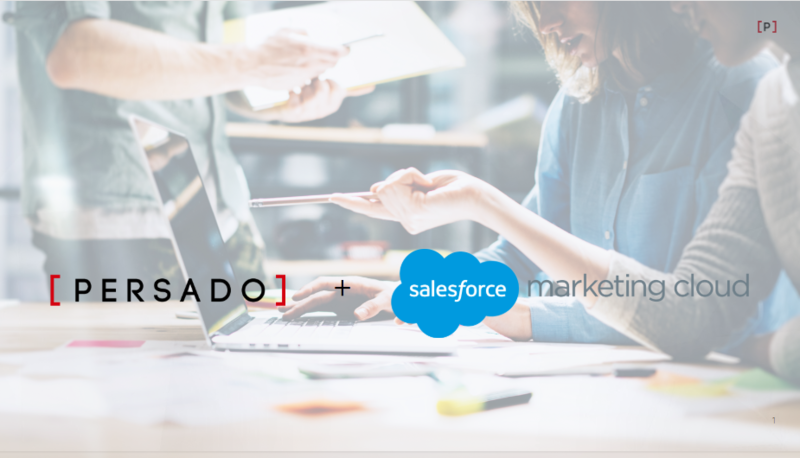 This partnership provides Persado customers who use Salesforce Marketing Cloud with the ability to leverage AI to optimize their email marketing language and better engage with customers. The partnership ensures that Persado and Salesforce are fully aligned in delivering the best possible experiences and tools to drive success to marketing customers. The partnership also allows Persado to tap into the power of Salesforce’s global distribution network to better serve customers around the world. What made Salesforce such an attractive partner in the first place? NC: With more than 150,000 customers across 100+ countries, Salesforce has built the industry's largest enterprise cloud partner program, empowering consultants, ISVs, VARs, agencies and other partners to drive customer success. In addition, Salesforce has continued to develop one of the most robust Marketing Cloud suites in the industry. Persado’s powerful AI solution serves as a uniquely complementary addition to Salesforce Marketing Cloud, enabling brands to create the perfect message to resonate with audiences and individuals across not only email, but all channels, including Facebook, Display, Push Notifications, SMS and Landing Pages. How can Salesforce users benefit from Persado? NC: Persado’s partnership with Salesforce benefits all companies looking to enhance their B2C marketing efforts. Our Salesforce Marketing Cloud integration allows companies of all sizes — from Fortune 100 to rapidly growing startups — to benefit from Persado’s ability to generate the precise language that resonates with any brand’s customers at an audience or an individual level. Our customers include Fortune 100 retailers, large travel/hospitality brands and financial institutions and leading eCommerce brands. Persado’s Marketing Language Cloud empowers customers across all industries to generate the best language to engage with their customers. How can people learn more about this partnership? NC: To learn more about Persado’s partnership with Salesforce, please contact the partnership team at Persado at partners@persado.com or reach out to your Salesforce Account Manager for additional details.